AP Photo/J. Scott Applewhite The Capitol is mirrored in the Reflecting Pool in Washington, as a partial government shutdown heads into a second week. AP Photo/Steven Senne Retired U.S. Army Gen. Stanley McChrystal speaks during a forum called “Ask What You Can Do For America’s Veterans” at the John F. Kennedy School of Government at Harvard University, in Cambridge, Mass. LAURA JAMESON/THE EXPRESS Demolition of the old Lucky Seven Meats building is almost complete and will make way for construction of the Lucky 7 Travel Plaza. EXPRESS PHOTO Demolition of the Town Tavern should begin sometime in the new year. The former Wolf’s Furniture Store property next door will be used as a staging area for construction crews. LOCK HAVEN — Local folks can look forward to some major changes in the city’s landscape in 2019 that could add to its overall attractiveness and desirability for future growth. A contract has been awarded for the long-awaited demolition of the dilapidated Town Tavern building on Bellefonte Avenue. Construction of The Lucky 7 Travel Plaza on the site where Lucky Seven Meats operated for decades, will begin as soon as the debris from the old structure is removed. And a sale is pending for the historical Fallon Hotel on Water Street, which has been an eyesore for years, but will perhaps see a resurgence of its former beauty. Yes, all three of these buildings are at the top of the list of projects expected in the new year. It’s been a rollercoaster year for The Fallon Hotel and 2019 could see something new for the historic building. 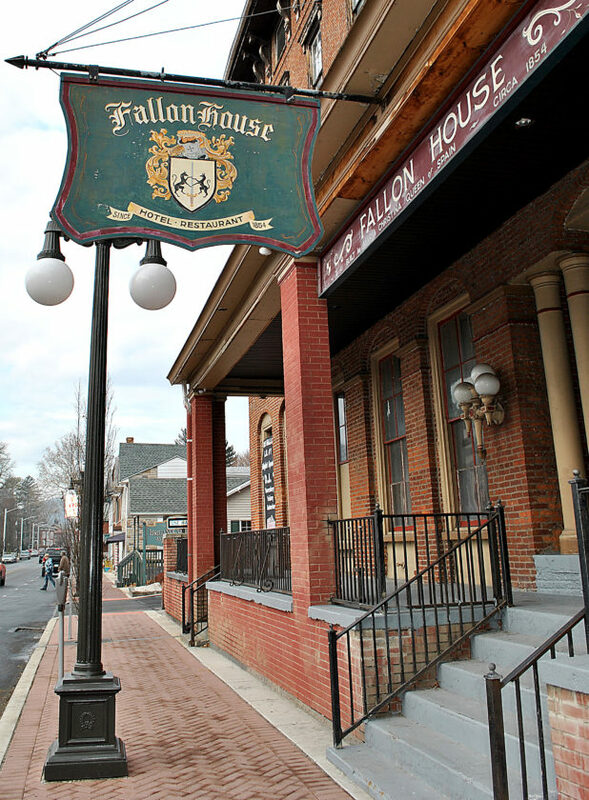 The Fallon closed in December 2017 due to a broken heating system; was put up for sale by owners Terry and Delores Mantle of Jersey Shore; became the site of multiple fires by an alleged arsonist in May and was the object of two pending sales. The first sale was made early in the summer, but fell through in July. The hotel was listed for tax sale in August and September, but the delinquent taxes were paid just before the Sept. 17 sale, so the property was delisted. The current pending sale lists the price of the building at $199,000 and has not changed since October. 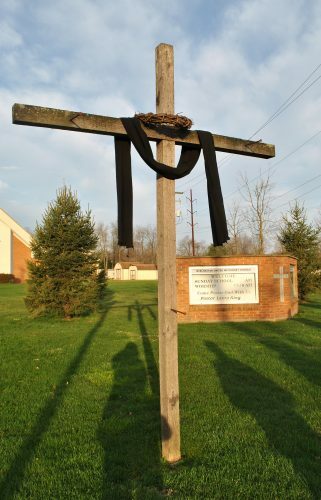 The initial price of the building was $275,000. A transfer of the building’s liquor license is in the works. A public notice of transfer was placed in the window of the building on Nov. 1 and indicated the applicant to be C&Q Tavern Inc. The license transfer is still pending, according to the Pennsylvania Liquor Control Board and no contact information is listed for C&Q. There’s no indication if or when the building may be purchased but there’s a chance it could be sometime in the new year. 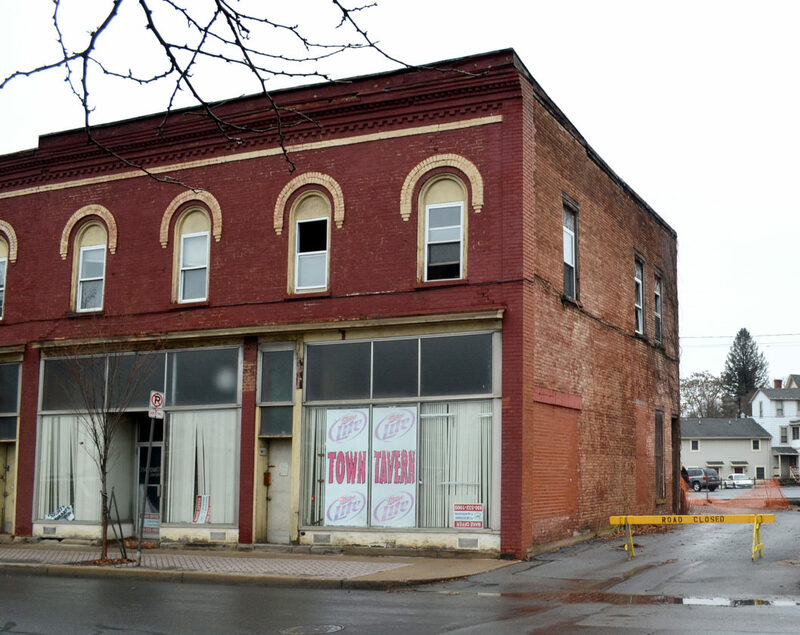 The Town Tavern, 47-51 Bellefonte Ave., a long-vacant and condemned building, has been a part of the city for 130 years and was most recently owned by David Mayes before being purcha sed by the city for $10,000 in September. In its prime, the tavernwas a well known and very popular business, serving daily lunches and catering banquets and wedding receptions. On the weekends, the tavern provided live bands for dancing, filling the hot spot with young people. City Council awarded a contract for demolition of both the tavern and the Kennedy property next door to Masters Excavating LLC, of Lock Haven, at the cost of $52,797 in November. 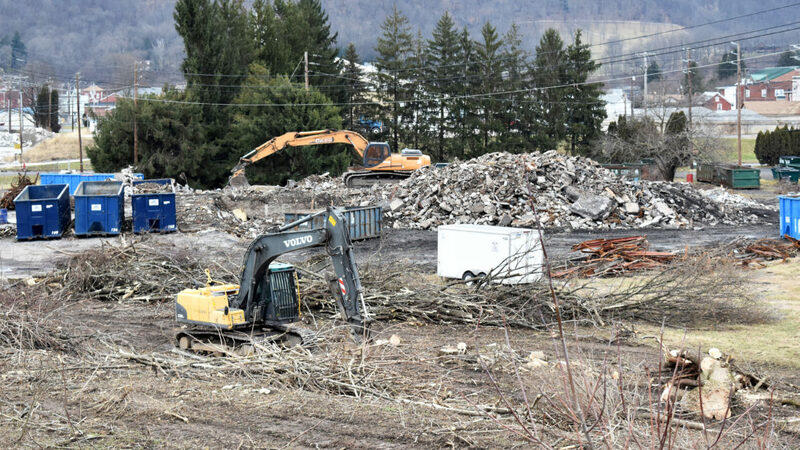 A temporary fence is set up along 37-53 Bellefonte Avenue, the former Wolf’s Furniture Store, to be used as the construction company’s staging area. Demolition of the former Lucky Seven Meats, located along Walnut Street near its Route 220 Exit, is nearing completion with plans for a new truckstop to open at that location in December. The Lucky 7 Travel Plaza, a 24-hour business, will consist of a convenience store and a Wayback Burger with five gas pumps, four diesel pumps and two entrances and exits according to owner Sonny Singh. There will not be a drive through for the restautant. Fifty nine parking spaces will surround the building. The truck stop will be located near First Quality’s new truck entrance, which runs along the railroad tracks, and will keep most truck traffic on Walnut Street. In November, City Council approved the transfer of a liquor license to the business. Liquor and beer will be available for sale at the truckstop Monday through Saturday 7 a.m. to 2 a.m. and for a limited time on Sunday, although the hours are not set.